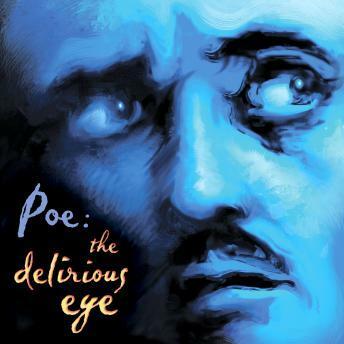 POE: THE DELIRIOUS EYE is a spoken word album inspired by the poetry of Edgar Allen Poe. Mesmerizing soundscapes accompany the poetic dialog throughout the thirteen tracks. A rich mix of swirling melodies, electronic embellishments, and dreamy sequences encompass avant-garde, experimental, and instrumental radiance. These story-telling poetics should be fascinating for anyone interested in verses set to music. The spoken word delivery by Louis Biggie is pensive and exquisitely emotive, encompassing enraptured, brooding, and cinematic tones that rise to apogees of aural delight. Amidst the commanding oral performance, the music expresses an almost cinematic presence, blending mystery and magic with moments of shock, pathos and ecstasy. Washes of sound pulsate in and out with crystalline qualities of atmospheric brilliance; the tonalities of music and voice blend together with marvelous precision, creating enchantments. Atmospheric drones and symphonic strings with sensitive piano inclusions, chimes, and other evocative abstractions express strange, ineffable feelings. Dark, brooding meditations create uncanny moods, while the sparkling piano keys and soaring washes create dreamlike effects, amid swirling strangenesses of metallic magnificence. The ringing tones, strings, and long washes culminate into an epiphany of sound which leaves a lasting impression after each track. POE: THE DELIRIOUS EYE is a great album for the poetically-minded connoisseur.